At the Laser Center for Vision Care, UT Southwestern’s nationally recognized ophthalmologists have one goal: improve patients’ quality of life by helping them see better without glasses or contacts. LASIK is just one area of expertise, part of a comprehensive program of vision care designed to preserve healthy eyesight and prevent blindness. Sign up today for one of our complimentary seminars to find out if you are a candidate for LASIK. From exam to surgery to follow-up, one doctor will personally take care of your eyes. At the UT Southwestern Laser Center, you will never feel like you're part of an assembly line. 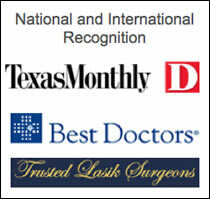 Our doctors are nationally recognized leaders in eye care advancements. We've published more outcomes about LASIK surgery than any other eye specialists in North Texas, participated in trials to evaluate procedures and technology, and taught other doctors about the surgery. UT Southwestern's Laser Center for Vision Care is one of the most accomplished and comprehensive vision care facilities in the world. Our nationally recognized physicians employ state-of-the-art technologies combined with the highest possible standards in medicine to ensure that your LASIK experience is nothing short of first class. When it comes to your eye health, you should never settle for anything but the best. Faculty and staff of the Department of Ophthalmology are dedicated to preserving healthy eyesight and preventing blindness. 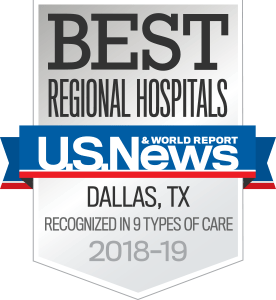 As one of the leading ophthalmology departments in the country, the doctors at UT Southwestern Medical Center offer diagnosis and treatment in all areas of eye care. Our customized treatments vary from all-laser IntraLase custom LASIK to the newest refractive intraocular lenses (IOLs) and beyond. 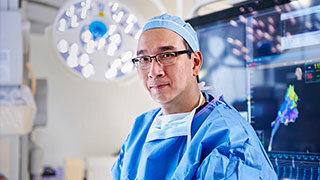 Our experienced surgeons make certain you receive the most thorough and highest quality care available. 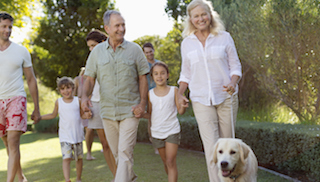 There are many different procedures available to correct vision. Today's technology helps us determine who is a good candidate for LASIK surgery – and who is not. All laser eye surgeries, including LASIK, reshape the cornea so that images properly focus on the retina. Your doctor will discuss with you which procedure is best suited to the unique contour of your eyes. With LASIK, a microthin flap of corneal tissue is created with the Intralase FS femptosecond laser. The flap is lifted out of the laser’s path and the excimer laser is used to remove corneal tissue. The flap is placed back into position and covers the treated area. Disadvantages of LASIK are associated with creation of the corneal flap and potential shifting of the corneal flap after the procedure. James P. McCulley, M.D., Chair of Ophthalmology, discusses LASIK services at UTSW. R. Wayne Bowman, M.D., Professor of Ophthalmology, discusses LASIK patient care at UTSW. 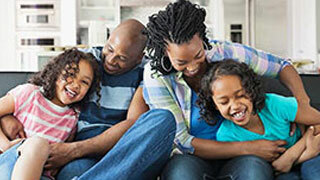 Search for opportunities to participate in a vision or eye-related research study.